is a friendly & lively family orientated bar showing the maximum amount of weekly sports we can on our 9 Screens which includes an 80 inch main screen. Please see the weekly updated TV Guide for details of available fixtures. If there is something you wish to watch, please ask our staff and they will try their best to show it for you. 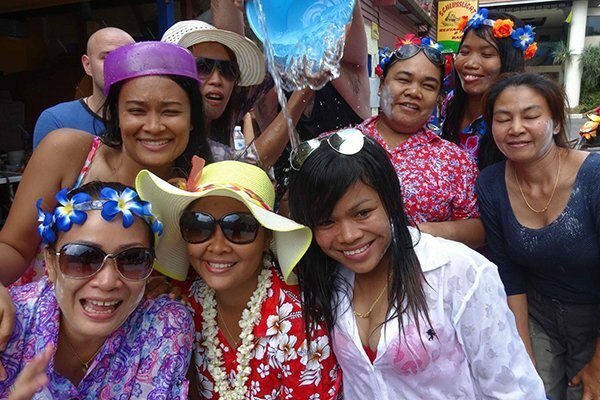 Songkhran, the Thai New Year and Water Festival, is the largest festival of the year. Walkabout Sports Bar ensures that it is celebrated in style. With as good selection of bottled drinks and Aussie draught beer on tap, we try to cater for all our customers needs. We provide free 6MB Wi-Fi to our customers; just ask the staff for the current password. Try Walkabout Pizzas on a Wednesday and Saturday Nights. So go on a Walk About to Walkabout Sports Bar and enjoy good music, Cold Beer and Live Sports! 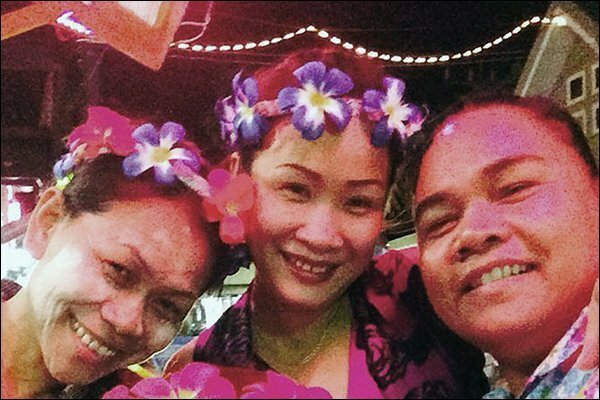 Dave (Flob), Meao and all the staff look forward to welcoming you at Walkabout Sports Bar, Karon Beach, Phuket real soon. 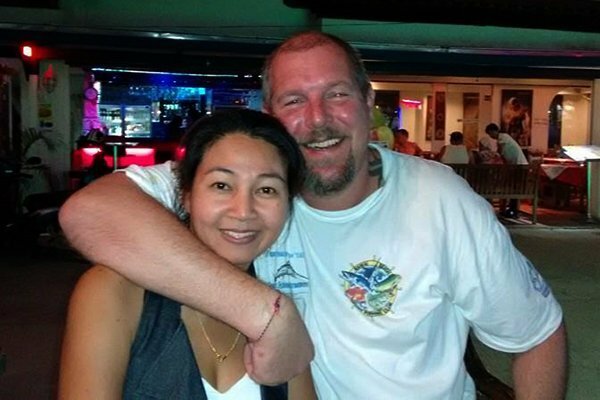 Bar owners Meao & Flob (Meao is the good looking one on the left) will ensure that your visit to Walkabout Sports Bar in Karon Beach is one you will enjoy and remember. Our staff will ensure that your visit to Walkabout Sports Bar is a pleasant one. If you need anything at all please don’t hesitate to ask any one of the staff. We like to visit our memories so we love our customers to share their photos with us. Click on the link to view our picture galleries and enjoy our shared memories. 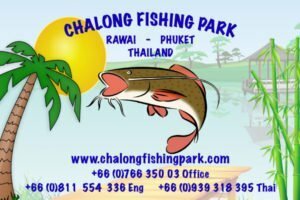 Walkabout supports Chalong Fishing Park, the home of fun, freshwater, catch and release fishing, for all in Phuket. Ask our staff, they will point you in the right direction.